Treefort volunteer coordinator Elizabeth Corsentino says since Treefort began in 2012, the festival heard from local nonprofits that wanted to get involved. Corsentino says this year, the team behind the festival created some new opportunities for these groups to get exposure – and hopefully get more helping hands. Treefort is hosting a service project this Saturday morning in Boise, where volunteers will build bunk beds for kids in need. Corsentino says festival organizers are excited to help connect different elements of the community. More than 440 bands will play this year’s Treefort Music Fest. Despite that huge number – which will be the most so far in the event’s five-year existence – festival director Eric Gilbert says the tough part of booking those artists was having to say “no” to many others. Treefort Music Fest announced another 100-or-so musical acts to play the March 23-27 festival. Boise rockers Built to Spill will perform once again, along with a slew of other bands. 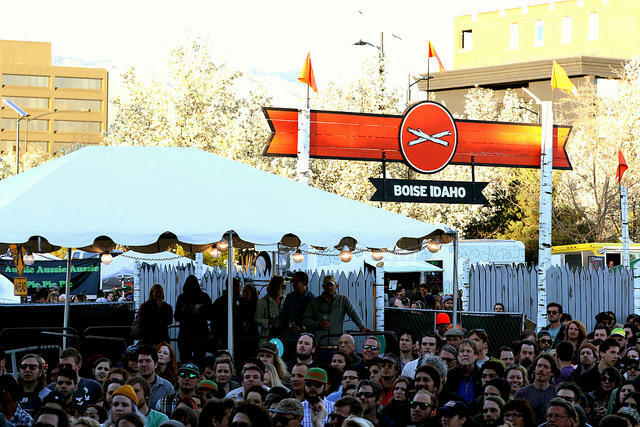 Listen here for a Soundcloud playlist featuring some of the bands to play #treefort2016.